I'm breaking up this week's post for "forgotten friday" because I'm reviewing several book. So here's part 1, part 2 will be posted in a few minutes, and the rest will be posted tomorrow or Friday. 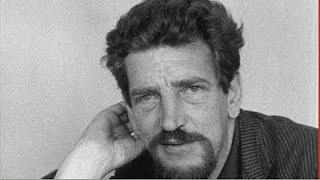 Per Wahlöö can hardly be called a forgotten writer, since the 10 Martin Beck novels he co-authored with Maj Sjöwall continue to be held high in the crime pantheon, but Wahlöö wrote a number of other novels, five of which were translated into English before and during the U.S./U.K. publication of the Beck books—and all five are now out of print and seldom referred to in surveys of Swedish or international crime fiction (outside Sweden anyway). It doesn’t help that a number of them were originally published in English under the author’s name Peter Wahlöö (so that one has to be careful when using Bookfinder or other search engines). One further general comment: Wahlöö's translator for his solo novels, as well as for the Wahlöö/Sjöwall books, is Joan Tate, who did a marvelous job of rendering his sometimes lucid and sometimes quirky language. deals with a publishing empire that has consolidated the country's entire press establishment in a single operation (as Berlusconi or Murdoch have only dreamed of doing), publishing hundreds of magazines and newspapers that offer nothing that would upset anybody: wholesome family fare (the weeklies sound rather like People magazine in fact). The focus on publishing (and the ultimate murderous resolution of the plot, which hinges on a more combative approach to journalism) share a setting and perspective with the Millennium Trilogy of Stieg Larsson, though Wahlöö exhibits the same terse style (even more terse in fact) as appears in the Martin Beck novels rather than the more emotional style of Larsson. 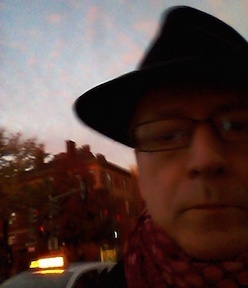 Both Wahlöö and Larsson have a tendency to be tendentious, in The Thirty-First Floor by means not only of the grim social portrait but also the social/political analysis provided toward the end by a "rogue editor" of a sort. 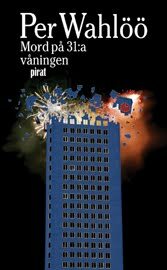 The directors of the huge publishing enterprise receive a bomb threat aimed at their 30-storey headquarters building, and the dour Inspector Jensen (frequently described as expressionless) is to head up the crisis team at the time of the supposed bombing and then the investigation after there is no explosion. Jensen is an intriguing character, affectless and officious, following laws and rules with little empathy or even any concern that the rule serves any useful purpose. 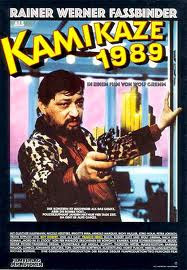 He was portrayed effectively (but in a costume more suited to his own films than to Wahlöö's story) by Rainer Werner Fassbinder in the German film of Murder on the 31st Floor, released under the title Kamikaze 1989. There is a bit of comedy leavening the dry narration, something that also characterizes the Martin Beck books: partly in the very humorlessness of Jensen (which is typical of both books about him). Some of the suspects that Jensen visits in The Thirty-First Floor are satirical social types, offering a bit of comic relief (something not found in the very grim sequel). Who or what is on the 31st floor of a 30-storey building is part of the mystery. And who will be murdered is another. The answer to those questions is abrupt, and provides Jensen's only moment of clarity in an otherwise tedious investigation, and also provides a considerable impact and a clear image of what Wahlöö’s story has been leading up to.